Fall has pretty much come & gone in Texas. A little too quickly for my liking, but with the cold front coming in, it’s starting to feel like Christmas! Most of us are already planning what gifts to buy & trying to find something different or Younique to give this year. I’m excited to co-host this amazing stocking stuffer giveaway with Younique Beauty by Courtney! A few months ago I reviewed the amazing Younique 3D Fiberlash Mascara & Courtney thought it would be fun to complete the eye look with a couple Shimmer mineral pigments. 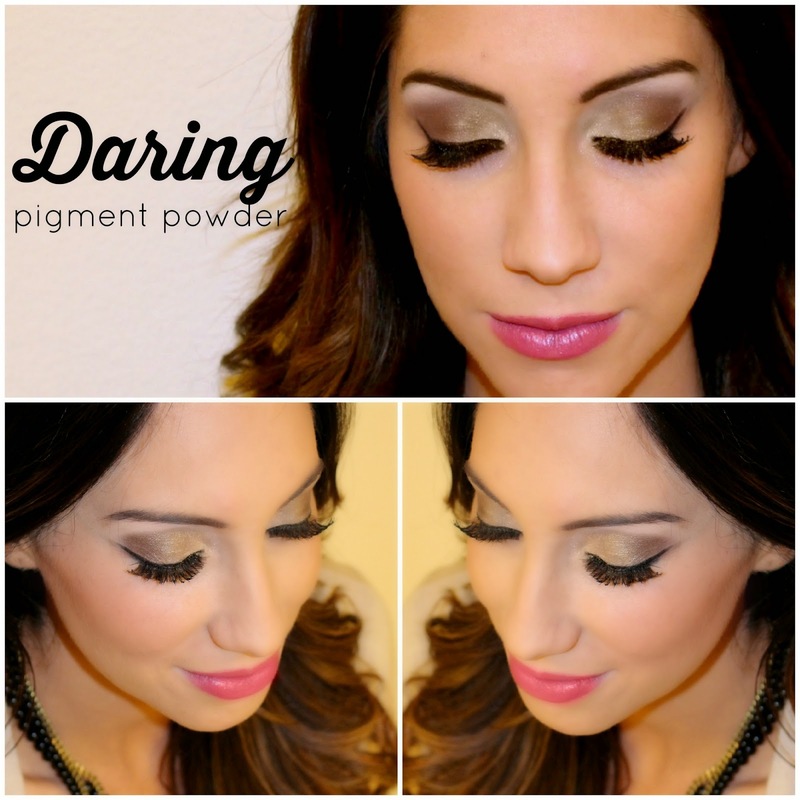 I got so many compliments when wearing the shimmer pigments! We selected two that look good for any season Daring & Glamorous. I have put together some of my favorite eye palettes for those that want to take advantage of the limited steal: 4 pigments for 35 dollars. These natural mineral pigments go on smoothly & last all day with just a little bit on my brush! I usually have to do many layers & reapply other shimmer shadows, but not with these. 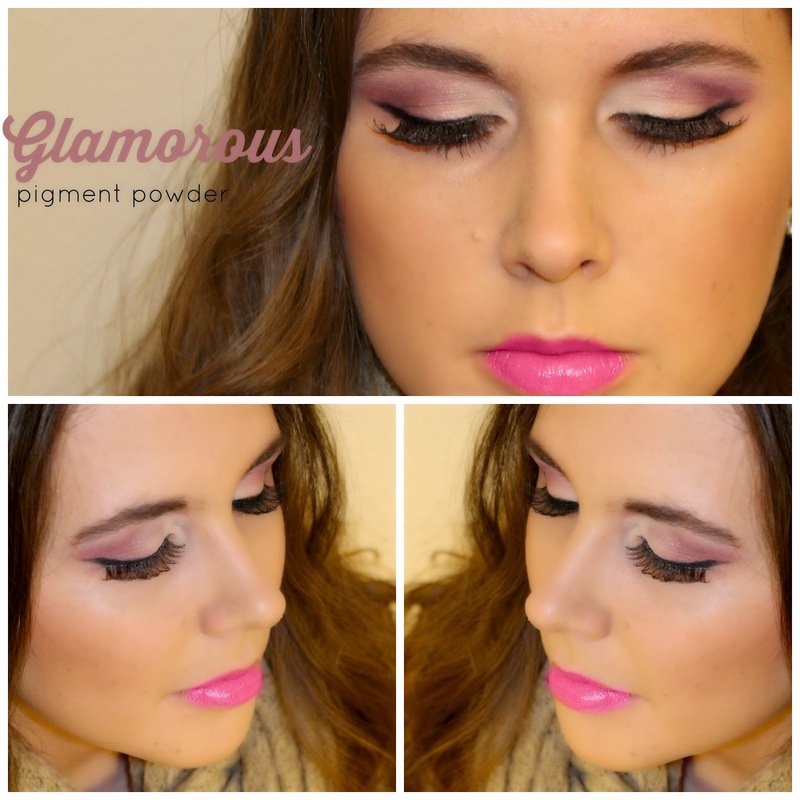 I used the Glorious Face Primer underneath to prevent the pigments on the lid from creasing & to enhance the colors. The primer can also be used to help smooth hair, taking care of frizzy flyaways! 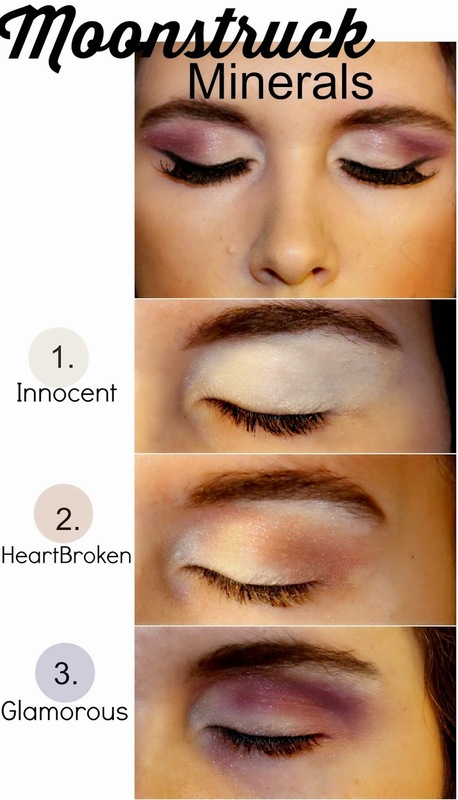 Who doesn’t love versatile make up?! **Follow the simple steps in the Raffelcopter below to win 2 of my favorite holiday shimmer mineral pigments and a 3D Fiber Mascara! 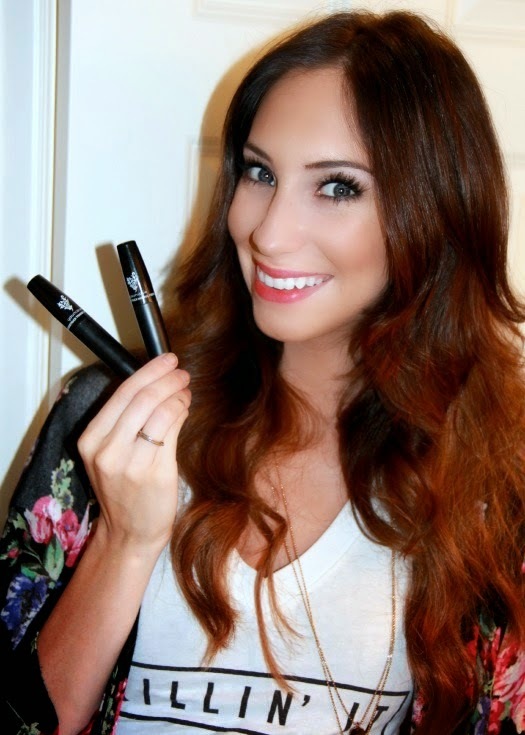 Check out my review on the 3D mascara here! I love our yankee swap on Christmas Eve! I've been wanting to try this mascara! Are you going to be in Modesto for Christmas? I would loooove to have you do my hair if you have time! love these eye looks girl!! My favorite Christmas tradition is opening up Christmas pajamas and slippers on Christmas Eve. Then we wear them while we read the Bible story of Christ's birth and drink hot coco. It's the best! BTW - your maternity photos are stunning. I would love a makeup tutorial on how you did your makeup for them! My favorite Christmas tradition is all the yummy holiday foods and new PJ's! I love doing Sub 4 Santa! Doorbell ditching presents and hearing the screams of the little kids as they realize "Santa" came early is the best thing ever!! My favorite Christmas tradition is going to a family Members party, then midnight mass with the kids, and then wrapping the last of the presents with the hubby! I love opening a gift of choice on Christmas Eve! Our favorite Christmas tradition is to get matching PJs and open them up Christmas Eve to wear! Oh how I love this time of year! Every Christmas Eve we celebrate the traditions of a different country! We have celebrated the traditions of Holland, Norway, Switzerland to South Africa, Ecuador, Australia...so fun! Favorite tradition is to get a fresh cut tree the day after Thanksgiving with the husband and children. Baking cookies and decorating. Love watching holiday films with the children every weekend during the month of December. fantastic food, and a great outfit, hair, makeup and nails, to match my new self confident..thinner self! !